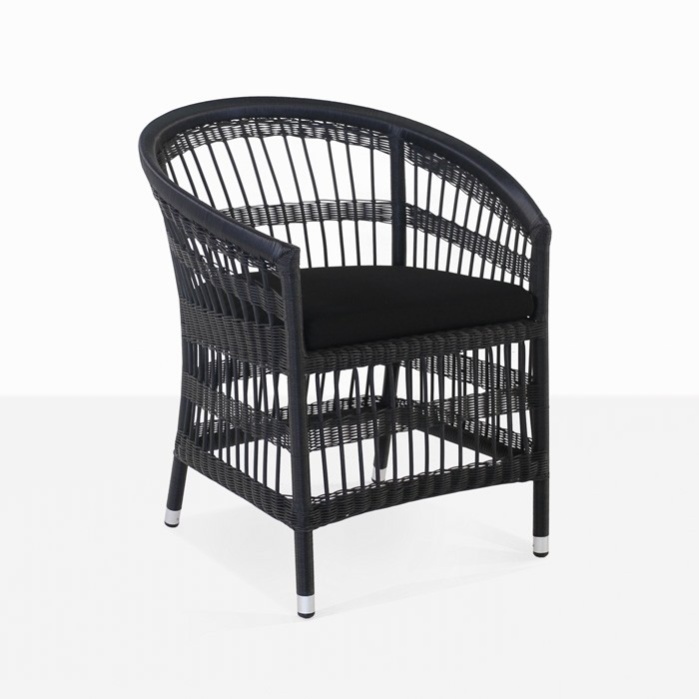 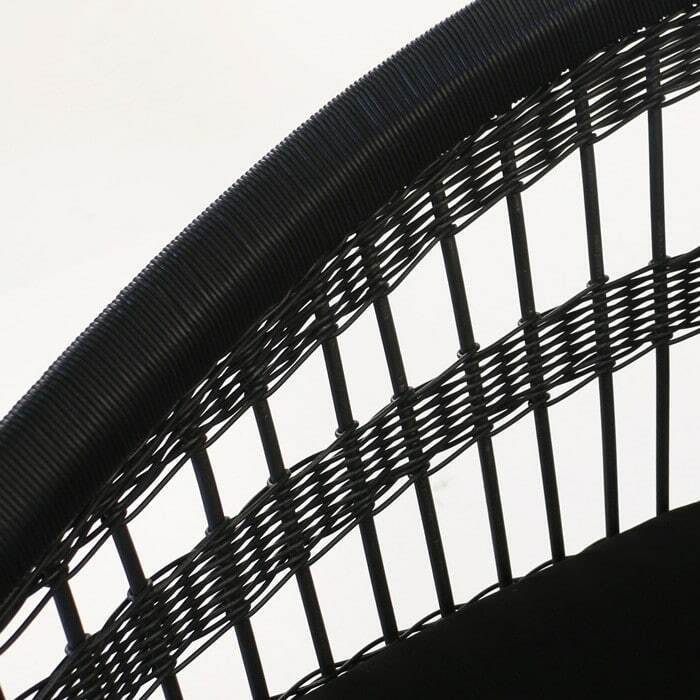 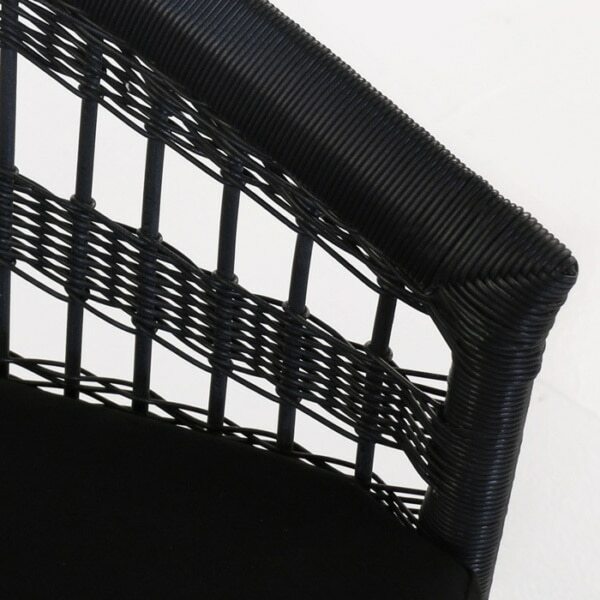 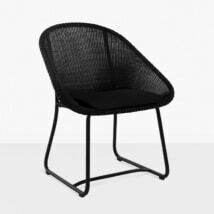 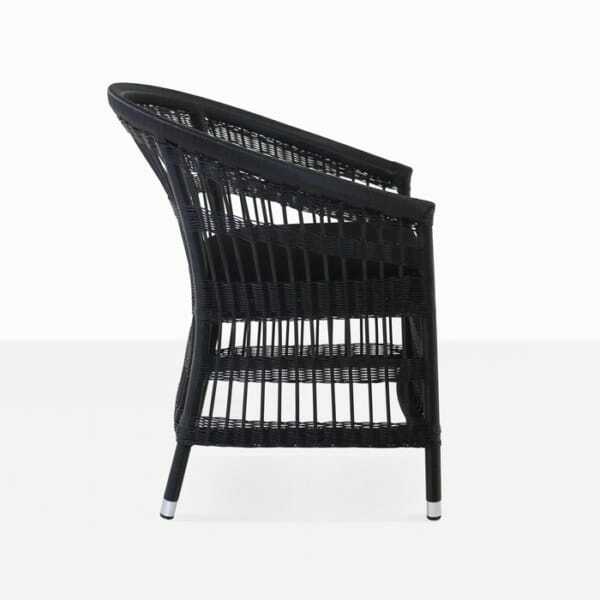 This outdoor wicker dining chair is striking in black and will add a fun and contemporary vibe to your outdoor dining experience. 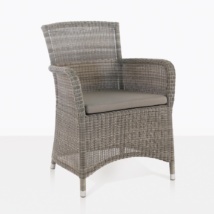 The Sahara dining chair has a tub-style frame and rounded back, this gives it a casual look while the wicker weave adds a rich and interesting touch. 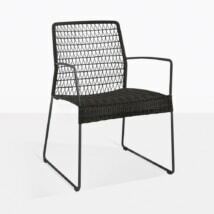 It is made with premium outdoor materials including synthetic wicker, powder-coated aluminum frame and topped with a Sunbrella cushion. 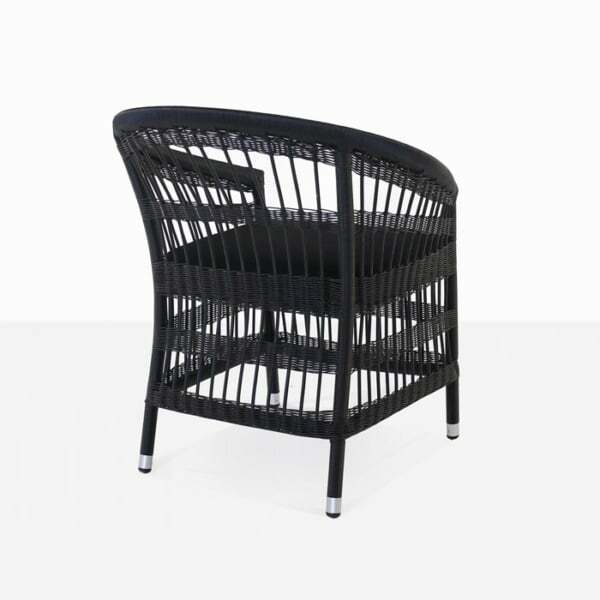 This table will go beautifully with many of our outdoor dining tables including a-grade teak or raw concrete depending on your taste and style. 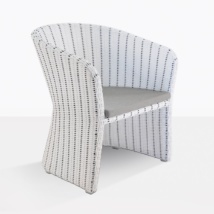 Get excited about dining outdoors and hosting guests again with the Sahara outdoor dining chair.